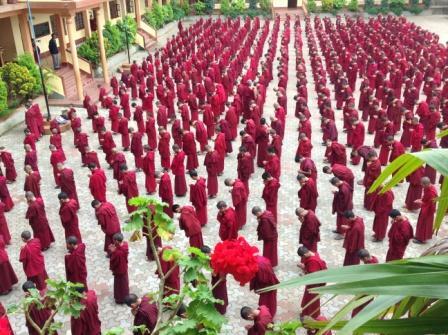 The School has an established curriculum guideline for teaching Fundamentals of Buddhist dialectics and philosophy and memorization of root texts, scriptures and chants. 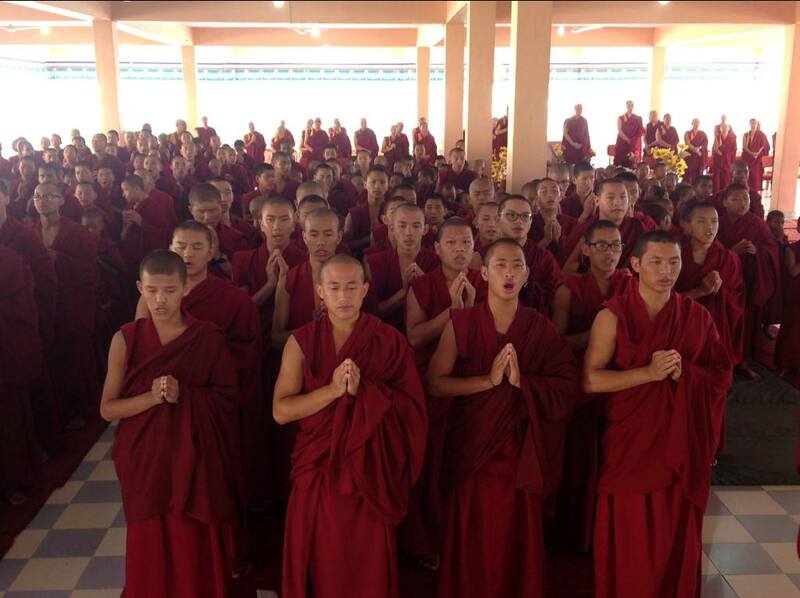 The dialectic study and practice programme was carefully formulated, regulated, and monitored by a team of senior Lharam Geshes directly recruited from the main Monastery. They serve as Dialectic Masters. In addition to this there is a team of senior Geshes who are responsible for giving training in scripture and chants recitation and memorization as part of the courses. Two hours early morning before the classes and another two hours in the evening after the classes are devoted to scripture memorization and debate practices. Classes VI and above have regular periods during Class hours for studying fundamentals of Tibetan Buddhist Dialectics and philosophy. For the core academic courses, the School being affiliated to CBSE, the syllabus and courses of studies are strictly followed as per CBSE pattern and direction. This means the courses and syllabus are same and one as that of followed by any reputed private or government Secondary School affiliated to CBSE. Under this scheme, subjects taught are: English, Hindi, Tibetan, Science, Mathematics, Social. English and Tibetan are taught right from Class I and Hindi is taught starting from Class V. Social subject include, Environment, History, Civics and Geography. Tibetan is taught as a strong subject and it conclude Tibetan literature, history, and poetry. We follow CBSE curriculum with special emphasis on study of Tibetan language and Buddhist culture through a very intensive academic system. The vibrant and stimulating educational atmosphere in the School help our students to carry on their studies and assignments in a spirit of intellectual passion and fascination for the diverse wealth of knowledge the world has to offer. They are not bogged down by the extended course materials but are enlivened by the stimulating teaching and classroom activities. Like any student attending a CBSE recognized School in India and abroad, our monk students too study following compulsory subjects: English, Tibetan, Hindi -Languages, Grammar and Literatures; Mathematics, Science, Social Studies and Art and Drawing. 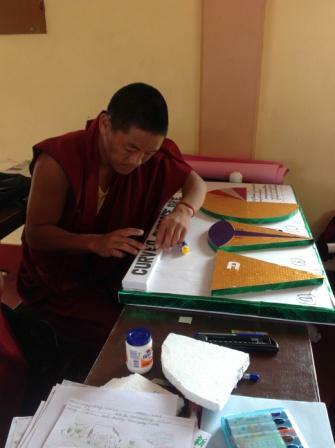 The students also receive training in Tibetan calligraphic Art and physical education. Unlike other Schools and students, here we follow a well-balanced academic program ensuring to impart best of the both traditional and modern education to our students. We have classes where we teach all the conventional modern subjects, such as, Tibetan, English and Hindi languages, Mathematics, Science and social sciences plus classes for teaching basic Buddhist dialectics and philosophy from classes VI onward. The School being affiliated to CBSE, the syllabus and courses of studies are strictly followed as per CBSE pattern and direction. This means the courses and syllabus are same and the one that is followed by any reputed private or government Secondary School affiliated to CBSE. Under this scheme, subjects taught are: English, Hindi, Tibetan, Science, Mathematics, Social. English and Tibetan are taught right from Class I and Hindi is taught starting from Class V. Social subject include, Environment, History, Civics and Geography. Tibetan language is taught as a strong subject and include Tibetan literature, history, and poetry plus supplementary readers. All subjects except English language is taught by using Tibetan Text Books upto Class V.
For Class VI to X, NCERT (national Council for Educational research and Training) published Text Books are used. We use both Text Books published by EDRC of Tibetan Children’s Village, Dharamsala and ‘TCRPC’ Tibetan Culture & Religious Publishing Center ( Sherig Parkhang), New Delhi, published Books. For Class IX and X , we use English Communicative Text Books published by C.B.S.E., New Delhi. All the students are provided free textbooks at the beginning of each academic session. The School follows Three Terminal Examinations system. Final Evaluation and promotion is made on the basis of cumulative assessment of all three terminal Examinations with sufficient scope for feedback from the concerned Class and subject Teachers assessment based on individual student’s year long performance and aptitude. There is a minimum required percentage of marks as a scale to determine appropriateness of the student’s promotion to higher Class, but other factors and concerned class teachers’ opinions are also incorporated as the final determiners for declaring a student pass or fail. Three-member Examination Committee constituted of teachers is responsible for conducting the Examinations. In order to develop mental faculties, writing skill and talents, essay-writing competitions are held frequently. Students are encouraged to write in Students Newsletter brought out by the students. They can also contribute articles to School Newsletter both in Tibetan and English. They are free to write on any topic of interest and the emphasis is laid on expressing their thoughts and ideas so as to facilitate creative thinking and practice in writing. Similarly, in order to create awareness about outside world, national and international development taking place, newspaper reading is encouraged among the students. Today, a large number of students subscribe to daily English newspaper and keep them abreast of day-to-day national and international news. Tibetan newspapers and monthly magazines have also been made very popular among the students. 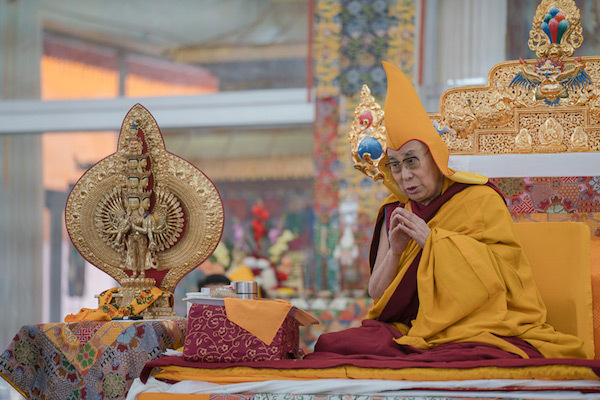 All this helps them remain well informed of general knowledge and current affairs of the world especially issues related to Tibet and the Tibetans.